A training course for creating greater intimacy and joy in your relationships. Define and recognize your attachment style and the attachment style of your partner—the ways in which we respond, react, and interact with others, particularly in close relationships. Discuss ways in which your attachment style has informed your previous and current relationships. Explain how to use your attachment style as a tool to change the way you relate with others, opening the door to greater love and attachment with others. 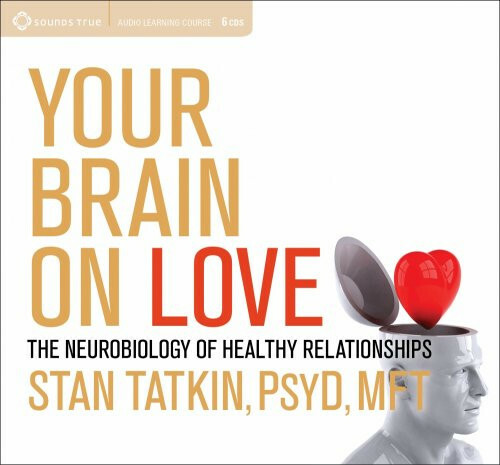 “Improve your brain, improve your relationships.” That's what Stan Tatkin has learned from his leading-edge work as a researcher and couples therapist. In this complete audio learning program, he merges current insights from neurobiology and attachment theory to help you shift out of conflict and into deeper and more loving connections. Based upon key insights from neurobiology, attachment theory, and emotion regulation research, Your Brain on Love will show you how to change the way you relate with others and open the way to greater love and connection. “Is it you or is it me?” Understanding how the attachment styles of others interact with your own. I loved everything about this book. The author humbly starts off by telling the story of his divorce; while he was counselling others as a marriage therapist. This sets the tone for the entire book. His findings and analysis are based on hard science but more importantly his anecdotes are from the heart. The content appealed to both my left and right brain and I feel more confident going into my next relationship because of what I learned from this book. A++++ and a must read for anyone who wants to have an authentic and fulfilling relationship despite the rumble of past loves which you might find yourself emerging from.